"Parents with disabilities continue to be the only distinct community that has to fight to retain — and sometimes gain — custody of their own children," said autism-rights activist Ari Ne'eman, a member of the council. "The need to correct this unfair bias could not be more urgent or clear." 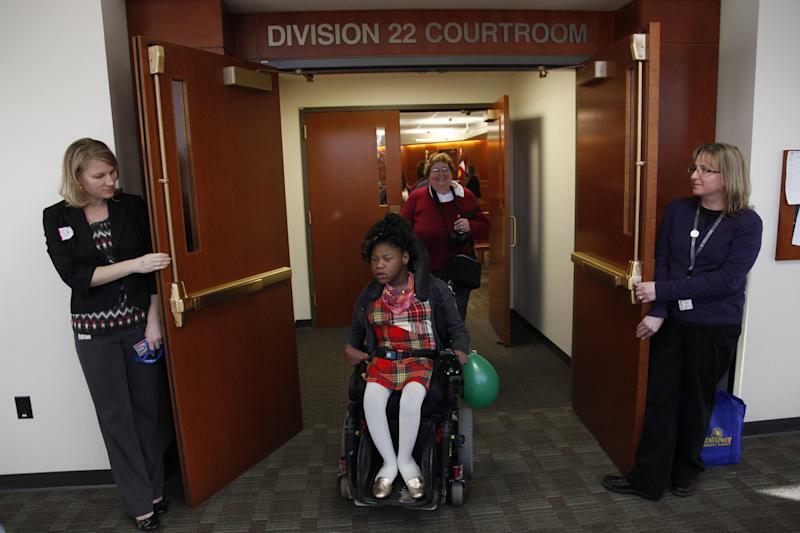 Child-welfare experts, responding to the report, said they shared its goals of expanding supports for disabled parents and striving to keep their families together. But they said removals of children from their parents — notably in cases of significant intellectual disabilities — are sometimes necessary even if wrenching. Parents with all types of disabilities — physical or mental — are more likely to lose custody of their children after divorce, have more difficulty accessing assisted-reproductive treatments to bear children, and face significant barriers to adopting children, the report says. One of the cases it details involved Erika Johnson and Blake Sinnett of Kansas City, whose 2-day-old daughter, Mikaela, was taken into custody by Missouri authorities because both parents were blind. The action occurred after a hospital nurse reported that Johnson seemed to be having trouble with her first attempts at breast-feeding — which Johnson said happens with many first-time mothers. "Of course there are going to be some parents with disabilities who would be lousy parents — that's the same with parents without disabilities," she said. "If there is neglect, is it due to the disability? And can it be rectified by providing the necessary support?" Ella Callow, a lawyer with the National Center for Parents with Disabilities and their Families, said the report raises fundamental questions about America's social priorities — given that state and federal laws value both the well-being of children and the rights of disabled people. The ultimate goal, she said, would be to promote both values by expanding support for disabled parents. "If we really believe that families are the key unit on which society is built, then we have to enable these families to be healthy and functioning, even at public expense," Callow said. "We know foster care isn't a good place for children to be — they do better with their own parents, at their own home." She said one recourse is to find members of the extended family — or other types of support — to help a parent with psychiatric or intellectual disabilities care for a child. But she said this approach could be taken too far, for example if a mother with intellectual disabilities was placed in a group home with other disabled parents. "What kind of way is that for a child to live — being raised by a shift of caregivers in a mom-and-child group home?" she asked. "Is that really better than an open-adoption agreement?" The report praises a few states — including Idaho, Kansas and California — for modifying child-custody laws to the benefit of disabled parents. It urges Congress to amend the Americans with Disabilities Act to add protections for parents, and it calls on state lawmakers to eliminate disability as a distinct ground for terminating parental rights. "Everything would look like it was going fine ... and then there would be some well-publicized, awful incident where someone who had a mental illness — without support — did something shocking and horrible, and a child was seriously harmed or died and we'd be back to square one," Waters said. One topic worth further study, it said, is "parentification" — the phenomenon in which children of disabled parents take on various caregiving responsibilities, even at a young age. Sometimes, they ride on the chair with her — especially son Noah because he, like his father, D.J., is a "little person," the term used by the family and others for someone genetically predisposed to having unusually short stature. When activities are farther away, the couple has created a support network to help when D.J. is working. He drives, but Jenn does not. The new report stresses that improved networks of support for disabled parents — encompassing transportation, housing, health care, and outside intervention when appropriate — should be welcomed, and not viewed as evidence that the parents on their own are incapable. 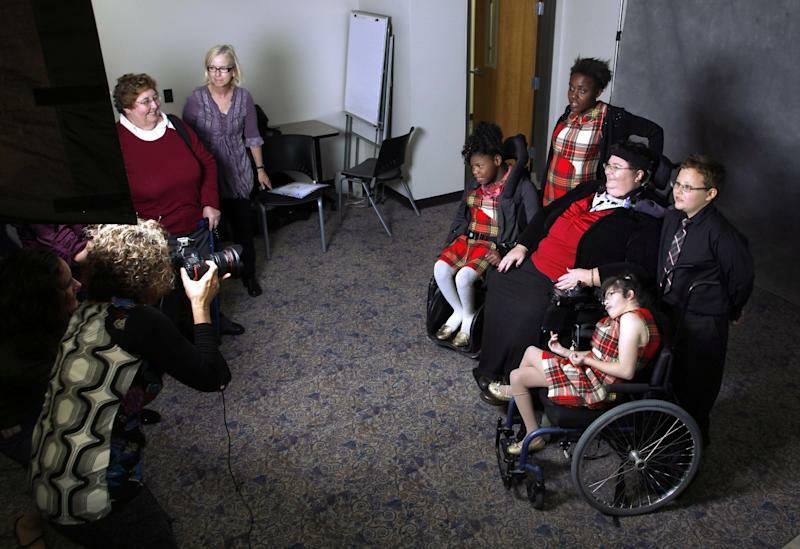 "If you are a parent with a disability, you don't have a role model — you have to figure out how you're going to be a mother and overcome challenges," she said. "It was a huge life change — but that's true for any new parent," Pazdral said, recounting sleep-deprived nights, higher levels of chronic pain, and the challenge of maintaining one's energy level. "But I start with the joy I get from being her mother — the rightness I feel," Pazdral said. "It's the best thing I have ever done with my life."